The Galaxy Dining Table enhances any dining area with ease. This modern table has a clean, modern look that works virtually anywhere, offering big style without taking up too much floor space. 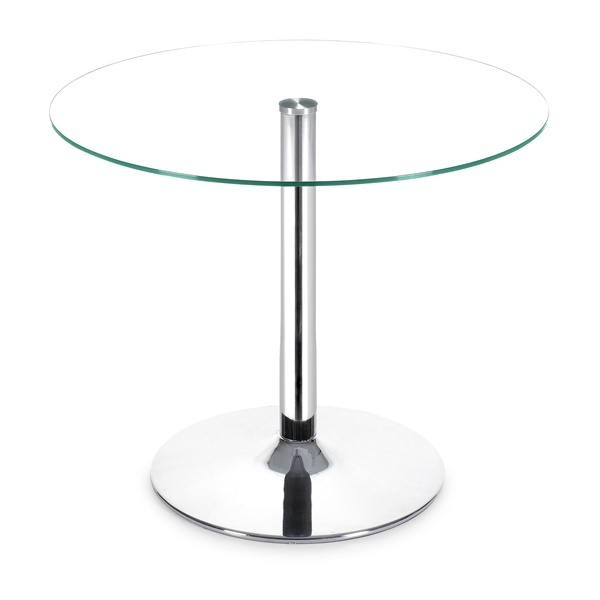 The Galaxy Dining Table features a clear tempered glass top complemented by a chromed steel column and base for a cool, industrial look.